Impressive results - highly recommended. I started bodybuilding when I was 15 yrs old. I recently turned 43 yrs and still love the sport. Currently, I’m 5’9” and weigh 225 lbs. Over the years I’ve tried virtually every product on the market. I’ve flipped back and forth from company to company until recently. For the last couple years I’ve been loyal to JBT Labs. I love their supplements and the results I receive. 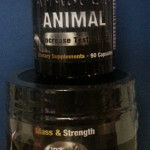 The last several months I’ve been using the Alpha Male Stack #2. It includes two products, Anabolic Animal and Anabolic FX. This product is a natural testosterone booster. It elevates the anabolic hormone testosterone all the way up to high/normal (1200 ng/dl) level. It supports the body’s natural (endogenous) production of total testosterone and is completely safe and non-inhibitory (your testes won’t shrink). The recommended dose is three capsules at bedtime. 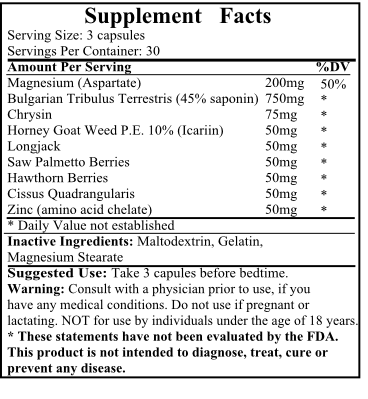 The ingredients include Bulgarian Tribulus Terrestris with 45% saponin, Chrysin, Horney Goat Weed, Longjack and Cissus Quadrangularis to name a few. These, along with the other ingredients, have a synergistic effect on optimizing hormone levels. I’ve noticed that I have a feeling of well being on Anabolic Animal. My lean muscle muscle has also increased. I’ve gone from 217 lbs to 225 lbs, over the last few months. That might not sound like a lot, but for a seasoned verteran, this type of gain is outstanding! Anabolic FX is a pre workout product which contains 6 super-concentrated, scientifically advanced nutrients, to blast your workouts to the next level. With this product, I found the best way to take it is as follows: I eat something solid 1 ½ hours prior to hitting the gym. Then, 30 minutes before exercise, I take 2 scoops. This is true for leg, back and chest day. For shoulders or arms I take just one scoop. 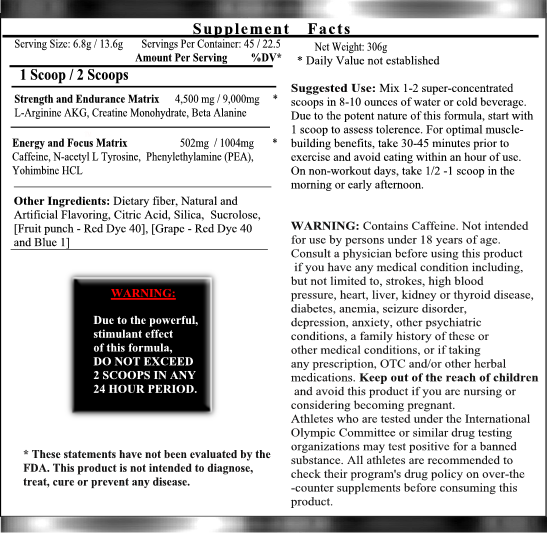 Some of the ingredients include L-Arginine AKG, Creatine Monohydrate, Beta Alanine, Caffeine and Phenylethylamine. This product really gives me a fantastic pump and my focus to kill the weights is sky high! I naturally come down and don’t feel that “crash and burn” like with some other products. I’ve noticed with the combination of both products that my strength and performance has dramatically increased. For example, on leg press I’ve gone from 7 plates per side to 10. I’ve increased muscle mass overall and my strength, on all my lifts, has not been this high since I was 20 yrs old. I highly recommended using JBT Labs products and especially the Alpha Male Stack #2. UPDATE: JBT are no more. These products are no longer available. As a possible alternative, check out Anafuse. I know it’s pretty hard to figure from their site – it’s pretty confusing. But for Stack #2 (Animal + FX) it’s $53.75 + $3.95 shipping. Need help to order this product – can’t find it anywhere. Yeah sorry mate, the company have now gone so these products are no longer available.